Are professors really as cold as we think, or are they more like us than we’ve presumed? Beginning a new year of college is a somewhat overwhelming experience. Buying books, starting classes, and making new friends can become daunting obstacles, and meeting professors can easily be classified as one of the most intimidating and difficult of these. These learned individuals have vast experience and knowledge in various fields of study that many of us are simply dipping our toes into. Many of us assume that they take pleasure in slaving students and lowering their GPAs. However, are they really as cold and inhuman as we so often think? 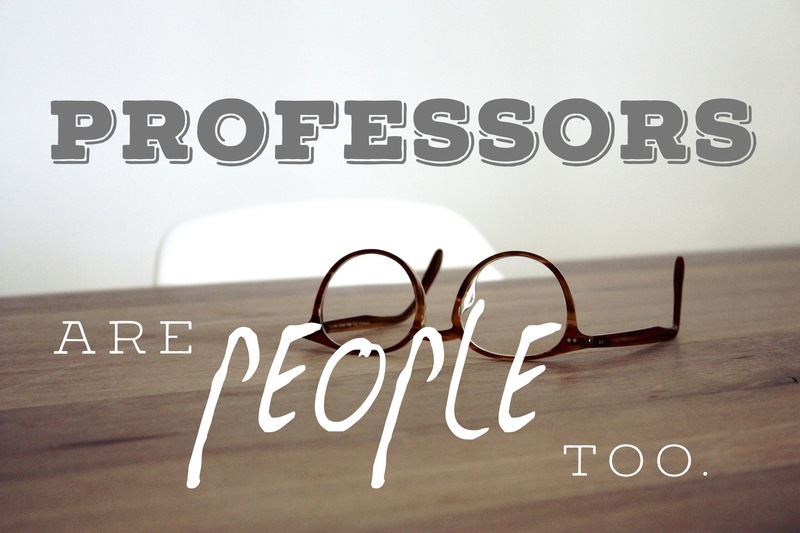 Perhaps Professors are people too. With this in mind, last school year, I began conducting interviews with professors, attempting to prove that they’re not so different from you and I. Intentionally asking questions that had nothing to do with academics, I not only found that these professors were actually human, but that they’re fascinating, brilliant people with interests and ideas that many of us would have in common. With a new school year beginning, I can’t think of a better way to introduce students to some of the amazing faculty here at Regent, and to make the experience of meeting a professor an enriching, rather than traumatic, one. I decided to interview Dr. Elam. He currently serves as a full time professor in the College of Arts and Sciences English department, and someone I’ve been given the privilege of having as a professor. I remember how he always taught that words are the “stock and trade” of scholars, and how powerful even the simplest of works can be. He’s a professor that invests in his students and is un-afraid to be both honest and vulnerable. When I met with Dr. Elam in his office, I couldn’t help notice the vast quantity of books he had in the room office. However, though having nearly an entire wall covered with a book shelf may seem copious to some, it is a part of Dr. Elam’s office that reflects the good professor himself, and is a testament to his devotion to teaching and to literature. Before we began, he expressed how honored and “touched” he was to participate in the series. Dr. Elam: “So, there are a few works I like for different reasons. I like the Hobbit and the Lord of the Rings as complete experiences of reading… I think they affirm what the bible says about God and his goodness and his beauty, and they do so in a way that’s not alienating… I don’t feel outside of it; I feel drawn into it. I love that about it. And then I would have to say love the Iliad… because it captures human emotion in a way that makes it ok to feel that way. Like when Hector is… trying to do the right thing, and it’s not going to work out for him, people weeping and wailing over their lost friends, [and] I think it’s good that people can get that out, and I think the Iliad does a great job. And then the divine comedy, all three canticles of it. Inferno, Purgatorio and Paradiso. Dante’s Journey of recognizing sin – struggling against it to find himself struggling through it to find God in the end – I know it’s not everybody’s taste, but to me it’s encouraging. “Who is your favorite character of literature? At the end of the interview, I thanked Dr. Elam for taking time to talk. He responded by graciously thanking me as well. I know that we both thoroughly enjoyed talking, and I was almost sad that we couldn’t chat longer. Dr. Elam’s sincerity and honesty, which shone brilliantly throughout the interview, are qualities that myself and many others are extremely grateful for as students here at Regent University, a place where professors are people too. Philip Reynolds is the Senior Editor of the Daily Runner.